Digitisation, disruption and a world that is becoming increasingly insecure, unpredictable and ambiguous (VUKA for short): many companies are currently dealing with these current issues. At Carl Stahl in Süßen, these topics were one of the triggers and at the same time the motivation to set up a so-called ideas workshop. But as the name might suggest, it is not so much a workshop in the classical sense as an experience space that makes know-how and modern technologies tangible. And that on a total of 560 square meters. The aim is to promote innovation and bring abstract topics closer to employees, customers and partners. But Carl Stahl is by no means alonewith his ideas workshop. 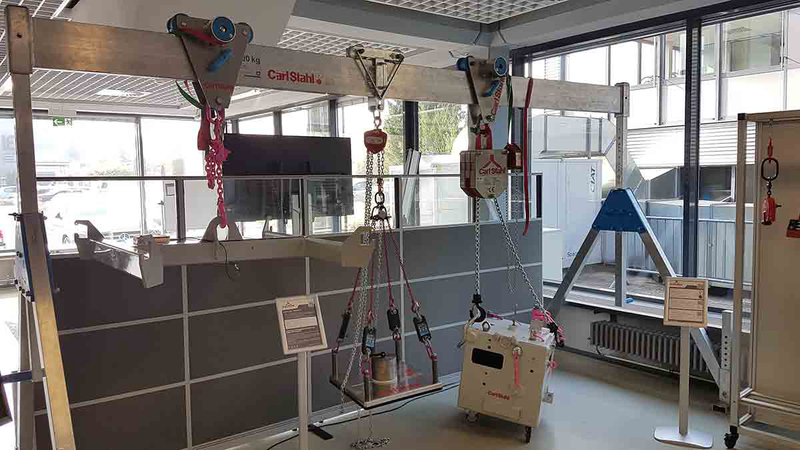 More and more companies are furnishing premises to develop creative ideas and make modern technologies and processes tangible and comprehensible. The new spaces and environments enable people to give free rein to their creativity and thus to think laterally and in a new way. The classic workplace is often not suitable for this. "The classic retail business, especially with products that do not require explanation, has already revolutionised itself. Availability and quality are no longer sufficient benefit arguments. 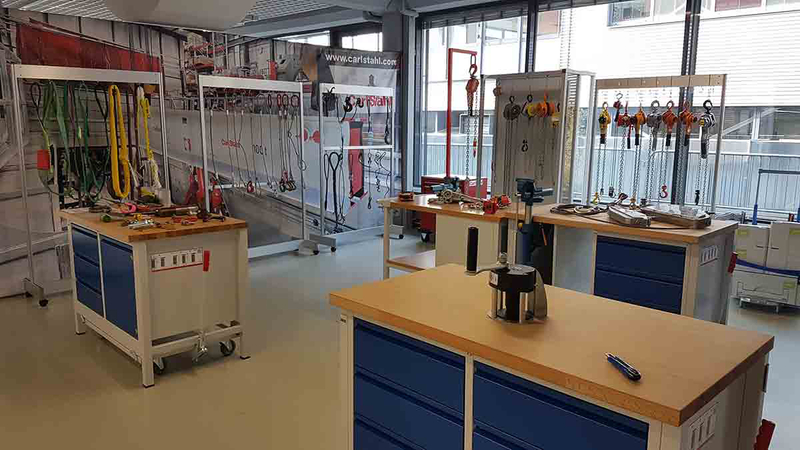 Added value must be created here", said Tobias Kehrer, Managing Director of Carl Stahl Süd GmbH, at the opening ceremony of the new ideas workshop in Süßen. "We achieve this, among other things, by creating a creative space for exchange and encounter with the Ideas Workshop." The objectives are clearly defined: Promoting innovation and employee development, inspiring customers, better integrating suppliers into processes, reducing general process costs and, last but not least, creating a positive image with employees, customers and suppliers. The ideas workshop offers the right area for every user. Therefore, the entire area is divided into six different, individually furnished areas. These include a "creative room", a "photo corner" or the "digital playground". 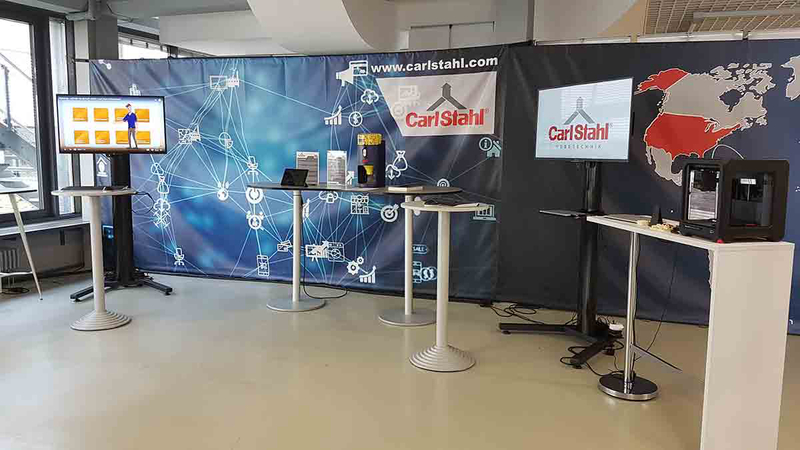 In the latter, Carl Stahl Hebetechnik GmbH shows its digital procurement solutions, how customers can procure their products at any time conveniently online in the web shop, at the push of a button on a dashbutton or in the Carl Stahl App. The Integrated Services also show how customers can efficiently manage their operating resources from procurement through periodic inspections to decommissioning and replacement procurement. New technologies such as a 3D printer and augmented reality glasses are also available, promising new possibilities in consulting and service. All areas are now ready for use and are already in busy use. 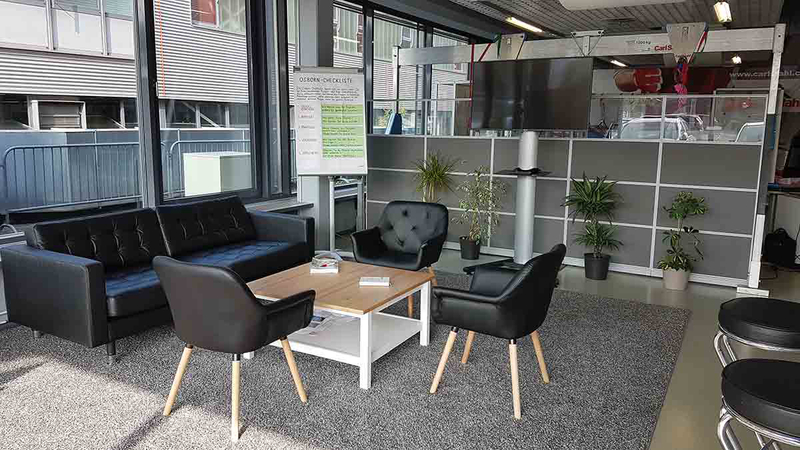 You can get an impression of our creative area in the virtual tour on our Facebook page. We are looking forward to seeing you!